You know that downer at the party who turns down a dish because ‘oh sorry, I don’t eat flour’? Yeah, that’s me. I never used to be “that guy”. I was the one polishing off every dish in front of me with the raging appetite of a hungry cyclist. Until a year and a half ago, that is, when I made a major life style change and “went keto”. A lot of people have asked why. So this is a summary, as short and sweet and to the point as I can make it. My interest in the ketogenic diet began as a way to improve my performance in long distance racing and reduce inflammation, particularly as I was having serious trouble with my knees and other joints. I began reading up on all the material I could find as it related to endurance sport. There are a number of scientific studies made on the pros and cons of a ketogenic diet, with controlled tests showing its merits and drawbacks, though to date these studies have demonstrated few drawbacks and an overwhelming number of benefits. Some of the more remarkable of these being the useful treatment against inflammation in the brain which causes epilepsy and other seizures. It is also much discussed as a diet which may help fight against, or at any rate help to slow cancer, as cancer cells primarily feed off glucose. Most of the studies and books written were done on and by men are and I found little information focusing on the effects of a keto diet on women. So, as per my usual MO, I decided I would play the guinea pig and experiment on myself. I can only tell you what I did and the effects I felt doing it. I have no definitive data collected over the last year and a half since I have successfully crossed over to the ranks of fat adapted athletes. I have, however, done numerous blood tests over the last year which show a perfect cholesterol, liver, and red/white blood cell count. In fact, the doctor testing my blood said the numbers are so perfect it is like I have the blood of a healthy, 5-year-old child. If you have no idea what any of this “ketogenic” stuff means, I will explain very briefly in terms that I personally understood initially coming from a place of complete ignorance on the subject. Our body can run on two kinds of fuel: glucose, which we get from carbohydrates, or ketones, which kick into gear when we start to burn fat instead of glucose. “A ketogenic diet is quite simply any diet that forces the body into a process called ketosis, whereby fats are burned instead of carbohydrates for use as energy. A proper ketogenic diet calls for the dieter to consume high amounts of fat, adequate amounts of protein, and very low amounts of carbohydrates. Our bodies are used to turning carbohydrates into glucose to send all over the body as energy. When we enter ketosis by sufficiently limiting our carbohydrate intake, our livers start breaking down fat cells into fatty acids and ketones, to be used as energy.” –http://theketogenicdiet.org, a comprehensive site which further details all the hows, whys and whats. What I eat on a 300 km ride. A good analogy of how this translates for me as an endurance athlete, would be a car running on dirty fuel, vs. clean fuel. The body, as a machine, functions better, goes longer and does not break down as quickly running on the clean fuel that is a ketogenic diet. The most obvious and exciting effect for me in comparison to my previous high carb diet is the incredible mental and physical energy I feel even at the end of a long 300+ km day on the bike. In the past, I would collapse on the couch, unable to do much else after a hard ride, the exhaustion in my body meant my brain was in a useless fog. I would simply want to eat and sleep. Now when I come home, I can go straight into working, writing, socialising with no drop in my usual energy. I have often come back having cycled 12 hours on a capfull of coconut oil, a handful of nuts, a few slices of cheese and a couple protein bars and feel no hunger to the point that I can wait a few hours before eating a meal without turning into the Incredible Hulk–which was me on a carb diet when I did not refuel immediately. Here’s the best part: no bonking! On carbs, you absolutely must keep inbibing fuel or you will inevitably bonk the moment your glucose levels drop. Not so when you’re burning ketones. Your body gets so efficient at utilizing fat, you can run out of food and keep going for hours without any significant drop in your energy level. On a long distance, unsupported race, this can be a huge dealbreaker when you find yourself riding for long stretches with no services to refuel. It also means you have to refuel less often, ergo less stopping, and more mileage on the other riders. The second most obvious benefit I noticed was that even during racing season, and weeks of high stress and mileage on the bike, my body would lose fat but retain muscle. Previously, I would lose both. Third, and this is a big one for women and particularly female athletes, my hormonal balance has levelled out dramatically. It used to be all over the place, constantly changing according to how much cycling and exercise I was doing, and of course, my moods would follow. Now I never get those spikes and drops I formerly experienced. My body adapts fluidly from competing and training to the off season recovery months with little perceived hormonal fluctuation. Fourth, I sleep better. My average is 7-8 hours a night, and I wake up feeling sharp and energetic. It used to take me a long time to wake up. Oh and did I mention the energy? Constant energy all day long. No longer do I get that attack of midday sleepiness and the call for a short afternoon nap. I also recover faster after periods of intense training. Previously I needed a day or two of rest after a harder day on the bike, now my muscles are ready to go again within a very short time. I should mention that everybody’s bodies function a bit differently and what may work for one will not necessarily work the same for another. The ketogenic diet has many variations ranging from some “good” carbs to almost none. This infographic breaks it down pretty simply: https://www.positivehealthwellness.com/infographics/ketogenic-diet-101-detailed-beginners-guide-infographic/ Some people just need more carbs, period, so it is important to figure out what works on an individual basis. I played around with it the first 6 months to find out how my body reacted and how well it could adapt to the diet. I did not go “cold turkey”, ie drop all carbs for two weeks to force the body into instant ketosis, as some do. I started by eliminating all refined carbs, grains, sugar and pulses. I continued eating plenty of rice, potatoes, fruit and other grey zone carbs, so my body did not go into any kind of dramatic withdrawl. Gradually, I reduced the quantities of those carbs during high training periods, while adding plenty of healthy fats and high fat foods to my diet like olive oil, coconut oil, butter, avocado, nuts, sheep/goat cheeses, full fat Greek yogurt and eggs. It took those six months to figure out what worked best, noting what I had eaten on the days when I felt groggy and lacking energy to understand what I needed to add or subtract. I get up in the morning and have a coffee or two, drink a capfull of xct oil (a condensed coconut oil you can find here: http://www.bulletproof.com/nutrition/quality-fats/ ) and either a glass of 100% natural coconut water which is full of potassium, magnesium and Vit C, or a teaspoon of tumeric powder (with a high level of curcumin and black pepper) mixed into a quarter cup of water—a natural anti-inflammatory and helps repair damage in the body. With this I will often take an aspirin with Vit C, good for maintaining a healthy heart and reducing inflammation and a couple capsules of cod liver oil for my Vit. A and D.
After this, I am fairly buzzing with enough energy to rival the Flash, and off I go on a training ride. The first food I eat will be at around 1:00 or 2:00 pm, either just back from training, or half way through a long ride. An average lunch consists of mostly vegetables, generally the green kinds—broccoli, spinach, salads, escarole, avocado, peas, zucchini, aubergines, cauliflower, sometimes beetroot, carrot, tomatoes, etc. With the vegetables, I’ll either have an omlette, a piece of oily fish or some high fat seafood, a ball of mozzarella, or very occasionally a piece of chicken or other meat. Everything is completely drowned in olive oil, and I mean swimming. The more the better. Sometimes I’ll drizzle the xct oil on top as well. I’ll cook the omlette with lots of creamy cheese and butter. Things like bacon and salami are great sources of protein and fat, and while absolutely delicious, I have stopped eating anything from pigs. They are just too intelligent, I think about eating my dog and it hurts. Yeah, conscientious objector. I am feeling that way about most animals these days. So, eggs. Lotsa eggs. I try to consume 200 grams of fat a day. Sometimes if I feel I need some extra calories, I’ll throw in a sweet potato, some quinoa, or wild rice. I felt like I needed it more often in the early days. Now I feel so full on the veggies, protein and oil, I rarely eat more. Dinner is more or less the same, which I try to eat within 8 hours of my lunch. If I need to snack between meals, I always have a container of mixed nuts to hand. Sometimes I’ll eat some berries and seeds with Greek yogurt, or make a coconut or goat milk shake with protein collagen powder. Basically, I fast 16 hours out of 24, whether I am training or not. My body does not get hungry, it burns the fat slowly and efficientlly and goes on burning it at the same rate all day long, because it is not worried about the next time I will feed it. Alcohol. Everybody wants to know about that one. I drink wine every single day. Proud wino right here. I believe it is the secret to a long and healthy life. It is an antioxidant and great for maintaining a healthy heart. Ask almost any centinarian or really healthy older person you know and you will find nearly the whole lot of them drink wine, particularly red. Something about the fermentation of the wine seems to have little effect in raising glucose levels like other alcohols. Not the sweet desert wines, but that seems obvious. No sugary cocktails. Not ever. Sometimes a straight up whisky in the winter. The point of everything in life is moderation. If you cannot drink a glass or two without ending up dancing on the bar top three bottles later, then better not to go there at all. I avoid beer though I have occasionally cheated at the end of a long ride when I felt like one. Because life’s too short not to, right? Speaking of cheating, yes, I do. Once your body is fat adapted it can swing in and out of ketosis fairly easily, so one slice of your favourite treat once in awhile is not going to destroy months of good behaviour. When I came back from my last race I treated myself to the best ever Napoletan pizza. It tasted wonderful right before its after effects kicked in: groggy, a bit of a headache and my stomach felt like it was working overtime. Flour is a drug. That is why people are addicted to it. So when you cheat make it count. That is it really. I am curious to hear from other athletes, women or anyone who have gone over to the Keto side, about your experience of it. Below I am posting a couple links to some good resources with further info for anyone interested to know more. Also I would recommend two great books which go into the diet, its benefits and the whole lifestyle, particularly as it relates to endurance sport. The first is called Primal Endurance by Mark Sisson. The second, which is an incredibly interesting story and read is Natural Born Heroes: How a Daring Band of Misfits Mastered the Lost Secrets of Strength and Endurance by Christopher McDougall. http://www.ruled.me/ketogenic-diet-food-list/ for a complete list of foods as an easy guide of what to eat and drink. Great write up and I share many of your experiences! Great read Julianna, If your interested in learning more about the Keto lifestyle and espcially Ketogenic performance you should check out the OFM Program (Optimising Fat Metabolism) founded by Peter Defty. You might be interested to know he has also done some very good podcasts about the ketogenic lifestyle for women and performance. Sorry I can find the link to them at this point in time. Hey there, I’m a 50 year old body builder and had resigned myself to grilled chicken and steamed veggies for the rest of my life. Carbs really were the enemy. I found myself accidentally in ketosis not very knowing what was happening. Then accidentally again coming across 2ketodudes podcast. I am staggered with the energy i have but more importantly how fantastic the food is. Have dropped to 17% fat from 22% three months ago, just couldn’t shift it plus gained 2kg muscle. Keep calm and keto on!! Thank you for posting this Juliana. Keto, for myself, like you, has been nothing but beneficial in so many many ways. Keep on being an inspiration. You rock!! Great article, I have also decided to try out Keto as a way of improving my riding. Still in the early ‘carb hangover…feeel hungry all the time’ stage 🙂 Can I ask how you go when you are actually out racing/riding, how strictly to do stick to a Keto diet then? I know sometimes you’ve got to take whatever supplies you can and before when I’ve come across a gas station or 7-11 in the middle of the night you take what you can get. Many endurance riders seem to live off junk food. There are certainly times when you have to live with what you can find. I try to stick to it on long rides until I can’t, which so far has been almost never. Even greasy chips are great fuel. When you’re fat adapted though, your body can easily transition in and out of the ketosis when needed. If you have mct oil and nuts, you can last a long time on little else. Hi Juliana. Yes, great post! I want to echo STU’s question about your thoughts on maintaining this diet while on a big multi-day ride. Does it still work for you to go for the Cheetos and fried pies? What’s your strategy when you’re having to constantly burn though all those miles (and calories)? I think many fat adapted athletes become efficient in using all kinds of fuel and on long rides can make the jump from glucose to ketones fairly easily. When you’re doing 300+ km a day, it doesn’t really matter what you eat anymore. It all burns like a raging fire. But the difference is being able to go on a starvation diet and run just as efficiently when your body is used to crossing over. I train myself on a keto diet so I don’t suffer on those times when I can’t find enough food. I usually carry mct oil with me (it now exists in powder form too) and put it in my water bottles which helps maintain enough calories and energy so it’s fairly easy to stay on the diet even on multiple day rides. I do long rides, call it fast touring, whatever, but I want to get somewhere fast, so I don’t stop to shop. My experience: you can really make it last on mct oil and some nuts for instance. Drinking is far more important than eating, on keto, because this way of eating is highly diuretic. It’s important to watch electrolytes, because you’ll flush them out easily. Also, fat is more calorie dense than carbohydrates, so it’s fairly easy to make your own keto-calorie gel from nut pastes, coconut oil and a bit of protein powder with some sweetener if need be, although I’ve also made savory versions (electrolytes). The “eat every few hours” mentality is so drilled into cyclists that it’s a revelation that it’s really not necessary on keto. I do ride around with 3 large bottles on the bike and a soft bottle in the seatpack. There’s sufficient evidence now to suggest that wine has no benefit whatsoever. The tip on aspirin and vitamin C is very good. Going to work that in. Absolutely agree. 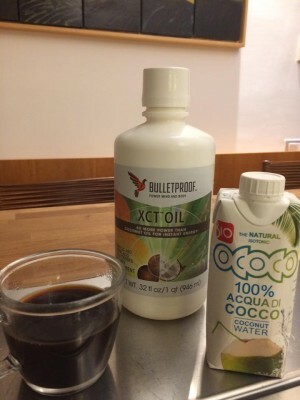 Mct oil, nuts and coconut water and you can go for hours. Hi:). I have been doing this as well but find I am needing some carbs before my intervals and races. No problem on endurance rides but with the repeated anaerobic efforts I don’t think I can mobilize the fat quick enough. I started having some carbs before races or interval sessions and it seems to help. I agree your body knows what it needs to function at its best and you should play around with the quantities of fats vs carbs that work best for yours. Some athletes do find that for short intense races and physical exercise some unrefined carbs are helpful. I think the most important thing is to watch the quality of what you’re fueling your body with. I’ve decided to start a new Keto direction in my eating. Your blog provided a wealth of information. I’ve let life get in the way of my passion for cycling, and have an uphill battle ahead of me. I’m hoping the Keto lifestyle will help rid me of my carb cravings, and shed the unwanted weight. The documentary “Inspired to Ride” is what kick started my new goals. 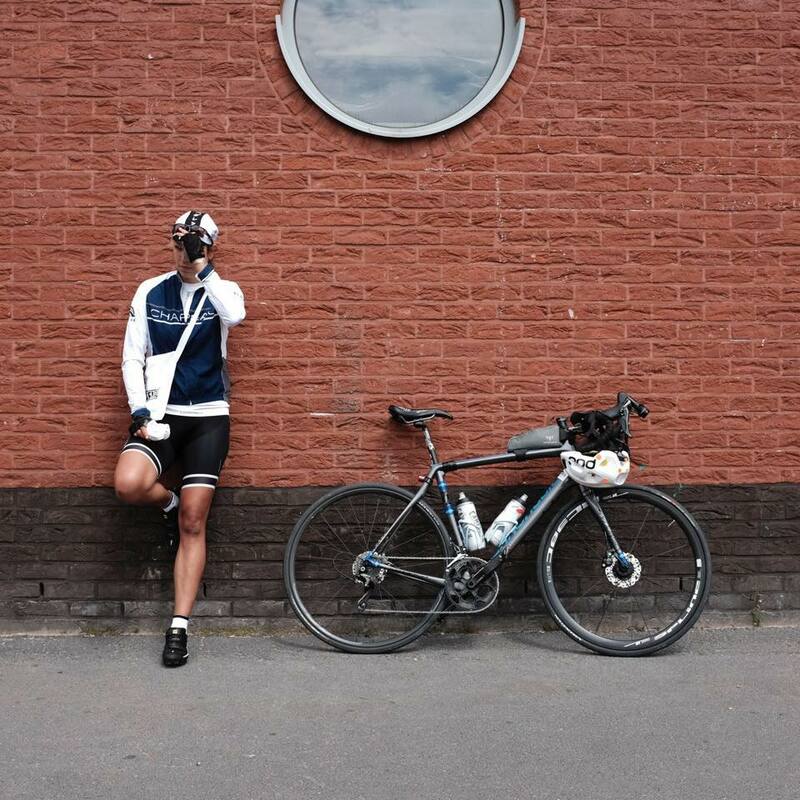 I’m curious, Juliana, what do you eat/drink when you are on the bike for multi 100mi+ days? I’ve read Primal Endurance by Sisson and am giving it a shot, but I’m having a hard time tracking down what fat-adapted athletes use on long endurance days. 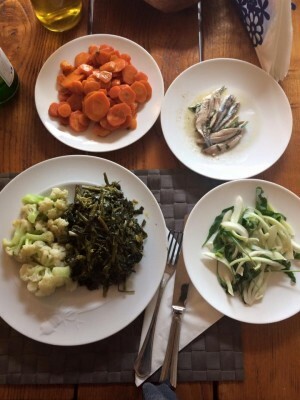 I’ve also read about Chris Froome’s diet (also keto), but can never find what he eats on the bike. dangit, never mind. I read this in two sittings and just realized you answered it and I must have forgotten when I came back and finished the next day. That was one of my favorite things to do for &#02&8;fun2#8221; as well.I have progressed beyond it, but as I have a 4.5 year old and 2 year old, I predict the practice will emerge again. Hello, very interesting as I’m going to try to be a low carb cyclist too. I’m already 2 months low carb and often in ketosis. Next year I will do 1000km in 4 days for charity, Mon Ventoux Cannibale (175km, twice Mont Ventoux) and Marmotte Alpes. Experiencing a lot of bunking and stomach problems on lower rides, along with some overweight or at least difficulty to keep on race weight got me to this idea. I’m working on this since 5 months, read a lot of information, scientific studies, saw a lot of documentaries and I know now how wrong all this dietary advice is. And also the concept of “healthy food”, people are demonizing you when you talk about this, like drug-addicts almost. But I know now according to my blood work that I was developing diabetes type 2 and CVD risks, people – and even MD’s – don’t know about this. I will also start a blog, with my progressions and the science explained (altough I’m a “simple” developer). If I fail, then it is proven to be an error for me, if I can do faster than other years… well, I hope that people take back all the s**t they’ve thrown at me lately. Just finished reading your book for the second time, very inspirational. I am preparing for a 5,000 mile record setting cycle and recovering from multiple serious injuries from a car hitting me from behind on the bike at 60mph, had to delay my ride from May 2016 to May 2017. I stumbled upon your artle able Keto eating and became instantly inteigued. I’m now 5 days into the new eating and feeling fine, full and just waiting to do my first keto strip urine test to tell me its all working. I have one question about dropping in and out of ketosis – let’s say I have a cheat weekend, a family social or such like when I just want to enjoy the occasion and not have to stand on my head to fit in, Then how long does it take to get back into ketosis ? Days, weeks or longer. I’ve read that on the strict regime it takes 7-10 days to get into ketosis, does that ring true in your experience ? Look forward to hearing and thanks for the inspiration. I think it is within idealism to call a spade a spade. The credit card companies have resorted to overtly sleazy dealings even with long term excellent cusrsmeto, no way around that. Nice write up Julianna. Especially good to see it covered from a lady’s point of view. Couple of things that might be useful to your readers are that you don’t have to be in full ketosis to take advantage of a good fat burning metabolism. Simply by going without food for longish periods (everyone’s primary source of fuel while sleeping is fat) and going for increasingly longer rides without carb input whil lead to improved fat burning. I don’t pratise a ketogenic diet but still go for 6 hour rides without needing to eat, and come home without feeling hungry. Having said that, there is a limit to this performance. At some point during exercise you exceed the rate your body can burn fat and you will burn glycogen. Nearly all good endurance athletes (events > 2 hrs) are exceptional fat burners, but in the case of cyclists where there may be periods of high energy use, then glycogen stores will inevitably become depleted. For steady state energy use (ultra marathons etc) a well exercisd fat burning metabolism is unparalleled as an effective fuelling strategy. There are a couple of notes I’d like to mention. There are 4 fuel sources in the body, but 2 aerobic sources (glycogen and fat.) None of them are ever ‘switched off’. They are all in a constant state of flux and you are using one more or less according to your demands. I have not, but I shall look into it. Thanks. Since making the switch to keto I’ve ridden as much as 70 miles in a day eating only a few raw cacao beans before the ride and nothing during the ride without getting hungry. Now I’m wondering whether it is optimal to not eat during a ride or if it would be better to eat something, and if so, what. Thoughts? You should eat when you recognise a drop in energy. If you don’t have to eat during a ride, then it’s better not to, however after 70+ miles you might feel the need to feed the tank, in which case, something high in fat and protein. 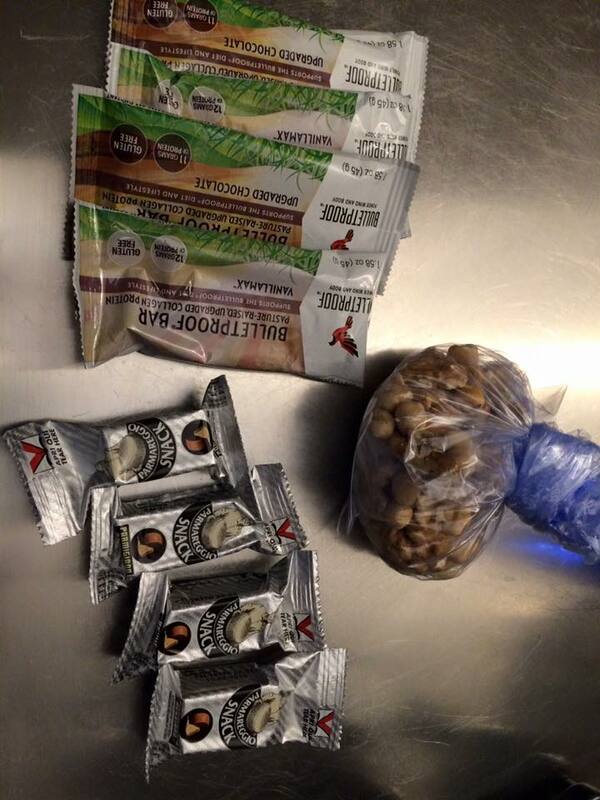 Things you can carry with you on a ride would be a boiled egg, nuts, piece of hard cheese, jerky. Great read I have been doing Keto for 10 months now I am a fairly keen 54 year old club cyclist and have been proper cycling twice a week for 2 years now.The first year was all about the coffee stops riding with group 3 I was doing 30 -40 miles on each ride but I was getting heavier. At my heaviest I was over 16 stone.Then a friend who does Ironman comps told me about http://www.dietdoctor.com where I learned about the Ketogenic diet over the next 3 months I dropped 3 stone.I have now dropped 3.5 stone my average speed has gone from 14mph at its best before Keto to 17.5 mph which isn’t to bad for the hilly area of East sussex.I am also toying with Wim Hof breathing and cold showers which is helping my endurance.Just completed two 100 mile sportive the last one was the Boxhill epic witha Silver which is graded a 9/10 difficulty so Keto is definitely working for me. Interesting. I’ve done well (cycling and running) on a plant-based vegan diet. My diet would be considered high carb (certainly compared to yours). Its as if the body adapts well to a variety of food types with – importantly – the key to good health being activity and exercise (a common denominator among fit people, whether high carb or low carb). I think it also has a lot to do with the quality of the foods you’re eating, and the kind of carbs. For example, just eliminating all refined carbohydrates and sugars from your diet, will already cure so many health and energy issues.